Heiskell J D and Company are the manufacturers and retailer of livestock feed, grain and commodity trading. The company engages in export of grains and its commodities to Mexico, the Far East, and the Pacific Rim. 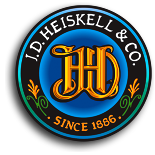 The Heiskell J D and Co were founded in 1886 and has its headquarters located at Tulare, California, United States. The product line of the company also includes ethanol, ethanol co products. The offices under the company are also located at Pixley, Ontario, and Hanford, California, and Rogers and Portales, Twin Falls, and Mountain Home, Idaho, Wendell, Bliss, Gooding, Wiggins, Colorado, Friona and Goodland, Texas, New Mexico. There are currently 0 consumer reviews about Heiskell J D & CO available. Share your review. Please take a note that you are about to post a public review about Heiskell J D & CO corporate office on CorporateOffice.com. This review will be public, so please do not post any of your personal information on this website. If you would like to contact the corporate offices of Heiskell J D & CO, please use their contact information such as their phone number, website, and address listed above to contact them. However, sometimes staff from Heiskell J D & CO headquarters do read the reviews on this website.